Vanilla cream has become a summer ritual for me…it just wouldn’t be summer if I didn’t make my Fresh Fruit Tart filled with this vanilla cream. So when I started my blog I made this gluten free version. The first step of this dessert does not require a trip to the store. This is a bonus for me when I decide to make it late in the evening. My pantry always has cornstarch and rice flour so I can get started and then refrigerate the custard base overnight. Step two requires a trip to the store for real whipping cream. The addition of fresh whipping cream, beaten to soft peaks then folded into the custard base, lightens the final dish making it heavenly. The best part is that it is ready to serve as soon as this step is done. Everything has a definition but as an everyday cook it’s not too important to me. You can call this pudding if you like. Technically custard is made with eggs and pudding isn’t. This old recipe of mine was called Vanilla Cream which sounds better to me than pudding so I kept the name. Either way pudding, custard and cream all have a silky smooth texture. Custard and pudding recipes are often thickened with wheat flour so adjustments are required to make them gluten free. I substituted sweet rice flour in my old recipe and this vanilla cream works for me. For a gourmet presentation pull out the stem ware. Spoon this creamy dessert over fresh berries in a wine glass or martini glass and voila. You have a beautiful but simple summer dessert when the weather is so hot that baking pastry doesn’t sound like fun. Of course filling a pre-baked pastry shell (homemade or store bought) with this cream may be the most obvious gourmet presentation. Covered with fresh fruit and glazed with melted jelly you get that came-from-a-bakery look. I love to garnish mine with edible flowers when they are blooming in my garden. But don’t wait for the special occasion. Get your kids to help and taste test this vanilla cream right in the kitchen, as soon as it’s finished. Served with or without fruit, these are the moments kids remember. Adults can do this too. Let me know in the comments below if you made this vanilla cream and how it turned out. 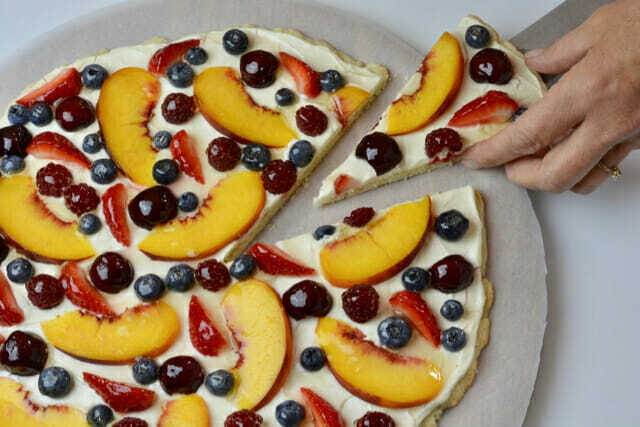 For a more casual dessert try this Fresh Fruit Pizza with your choice of the vanilla cream or the more typical, and slightly stiff, cream cheese filling. 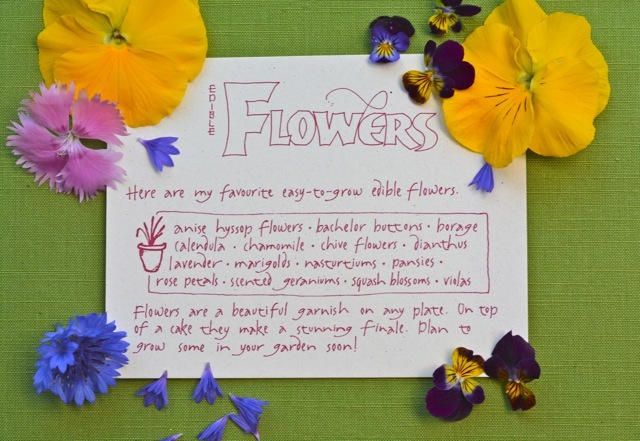 How To Use Edible Flowers in the Kitchen is my take on growing and using them. Combine sugar, cornstarch, sweet rice flour and salt in a medium saucepan. Stir in milk. Bring to a boil over medium heat whisking as it begins to thicken. Don't over whisk! Reduce heat and stir until thick, 1-2 minutes. Cool slightly. Transfer to a bowl, cover and refrigerate overnight. Beat custard until smooth, add vanilla. In another bowl beat whipping cream to stiff peaks. Fold into custard and refrigerate until ready to serve. Can be served immediately. Spoon over seasonal fresh fruit or use to fill a tart crust.